Throughout this book we have discussed the many challenges we face as Catholic singles and the importance of embracing our life in the here and now while remaining open to God’s will and His plan for our future. Any other way of living would deny the importance of our present lives and leave God out of bringing the best that He has in store for us. We are, however, still left with the ever-present reality that we are only human, and this means that inevitably we are all going to have a bad day from time to time. There may also be times when we find ourselves downright sad, anxious, or in an emotional funk for a myriad of reasons — including because we are single! But what then? What can we do when we find ourselves in this particular state of mind? The holidays can be especially tough. Although it may seem cliché, waking up on Christmas morning to a silence we generally appreciate might instead strike us as a sign of isolation and a stark reminder that we are not surrounded by the family we may have hoped for. Such times may also lead us toward feeling unloved, unworthy of love, or simply unlucky in love. This is exactly the kind of scary, dangerous, and useless thinking I am talking about watching out for! If we continue to entertain such thoughts, we may also be tempted to consider that because we don’t have a family of our own, we somehow lack purpose in the whole “circle of life” way of looking at things. Inevitably, such a negative outlook is not good for any of us on a number of levels, and this brings us right back to addressing one of the major points we have been exploring this entire time. It is imperative that we not give in to or even consider the thought that if only we were married with children, we would somehow have greater value in the eyes of the world and in the eyes of God. Wishing we were someplace other than where we are now in life or thinking that somehow we’ve been ripped off compared with other folks in God’s plan because we’re still single is the sure path to despair and bitterness. Then we are useless to ourselves and everyone else. Giving in is not an option! We might struggle with difficult moments and emotions, but we need to work through them so as to emerge on the other side and ultimately become victorious over such unproductive thoughts, which serve only to drain our peace and joy. Far from ignoring such feelings or pretending to the outside world that we’re “just fine,” we need to face our negative thoughts and emotions, identify them for what they are, and deal directly with them. As always, it is best to step back, take a deep breath, and set about addressing first things first. We need to take a time out and realize that we are not really alone and that God is always with us (see Matt. 28:20). We can take great comfort in knowing that God, who specifically calls us to “fear not” (Luke 12:7), has it all under control, even in the midst of the particular anxieties and concerns that can confront us as singles. As Catholics, we have been given the profound gift of being able to call God “Father.” Like a good Father, He knows his children intimately, including knowing what we need before we even ask! When we do not like the way things are going, however, we might be inclined to ask God, “What about me?” We might feel as if God has abandoned us or that we aren’t even on His radar. In other cases, we may begin to question our beliefs or seek answers to our dilemma elsewhere. Far from ignoring such feelings or pretending to the outside world that we’re “just fine,” we need to face our negative thoughts and emotions, identify them for what they are, and deal directly with them. If we live our Faith as Jesus teaches us, though, and find ways to short-circuit our loneliness and hopelessness, we may come to learn how God is “our refuge and strength, a very present help in trouble” (Ps. 46:1). It’s the goal we need to keep aiming for, and God shows us how we can do this. His only requirement is that we submit ourselves wholly to His will while trusting in His divine providence when it comes to all aspects of our lives. However, if we nervously anticipate what the future will bring instead of just trusting in God today by living in the present moment, we are only setting ourselves up for the kind of negative emotions that cause us worry, pain, and hopelessness. When such moments of anxiety and perhaps even depression come, it is important to tackle them immediately; as such emotions are inevitably useless and actually dangerous for our state of mind, our overall physical health, and our very souls. Consequently, it is well worth every effort to fight against these emotions that prove over and over again that they are not our friends. Naturally, we all experience loneliness from time to time. Jesus, too, experienced loneliness. Imagine the loneliness He felt when Peter, whom He had ordained as the Rock of His Church, denied Him not once, but three times, claiming, “I do not know the man” (Matt. 26:72); or during His agony in the Garden of Gethsemane, when His disciples couldn’t stay awake to accompany Him in prayer. Most of all — imagine the unspeakable depth of loneliness He felt on the Cross during His abandonment, when in freedom and love he “offered his life to his Father through the Holy Spirit in reparation for our disobedience” (CCC 614). In our lives, the most difficult and negative emotions we experience are meant to motivate us and help us appreciate their opposite state. Loneliness, therefore, should motivate us and make us aware of the value of others. It should also help us recognize our profound interconnectedness and push us out into the world to seek others and also experience the joys, challenges, and sacrifice in valuing others beyond ourselves. This is a good and wonderful thing, as all things can be good, if God is at the center of our lives! Remember that when we are far from God, we are vulnerable. Therefore, our best defense, as always, is a good offense. We must do our very best to make sure we always continue to focus on our relationship with God, knowing that He is always near us and desires to be involved in our lives. However, we will not be able to recognize His providential hand in our lives if we are disconnected from Him and are living in such a way that He cannot enter because the door to our hearts has been closed. It is also important to recognize the difference between being lonely and choosing to be alone. In our fast-paced and sometimes frantic world, we can recognize and appreciate how much we singles value our alone time. When I get home from work, I am often grateful for the time I have to unwind in a way that suits me as opposed to those who may go home to be immediately hit with the needs of a family. That is a perfect example of finding joy in our life. Likewise, the father who heads home after a long day at the office and has to take his son to Boy Scouts before he has a chance to change out of his business suit is also called to find the joy in his circumstances. It is healthy to step back for a while and learn the lessons that can be found only in silence. It is often easier for us singles to find that silence than those who are married and have families, and we should appreciate the opportunity for what it can be. In addition, we must always take care not to isolate ourselves while appreciating and taking advantage of the opportunities we have for quiet time and meditation. Most of all, we need to remember that God is always at the helm of our lives, even if we sometimes don’t fully understand where He is steering the ship. When this happens, we need to trust in God and then get busy doing something positive in our lives including simply enjoying the day and the people God has given us. Whenever we get discouraged, that is the perfect time for prayer. It is when we look at Christ that we are reminded that He has already overcome the world’s darkness. So, we must stay close to Christ, especially in the Eucharist, where His comforting presence is palpable. For the Catholic single, this is our greatest source of intimacy and friendship, especially in a culture where it is really hard to find community among likeminded Catholics who are also trying to live the Gospel. Featured in Marche’s article is John Cocioppo, director of the Center for Cognitive and Social Neuroscience at the University of Chicago. A leading expert on loneliness, Cocioppo notes that “the greater the proportion of face-to-face interactions, the less lonely you are . . . the greater the proportion of online interaction, the lonelier you are.” Cocioppo also stressed that the use of social- media sites such as Facebook can become unhealthy when it begins to replace in-person interactions. “If social media lets you organize a game of football among your friends, that’s healthy,” says Cocioppo. “If you turn to social media instead of playing football, however, that’s unhealthy.” So while such networking sites can be great for some things, including the evangelization of others, posting uplifting thoughts, and simply touching base, we also need to be careful that our “super-connectedness” isn’t, in fact, inviting more loneliness. However, if we nervously anticipate what the future will bring instead of just trusting in God today by living in the present moment, we are only setting ourselves up for the kind of negative emotions that cause us worry, pain, and hopelessness. Holy Communion will afford you great consolation in all the sorrows and sufferings of this earthly life. No matter how great your need and your trouble may be, no matter if all forsake you, Christ will never fail you. How could you doubt Him who became man and died on the Cross for you and who gave Himself to be your daily food? At Holy Communion, there is opened to you a world of life, light, and love, a gracious outpouring of the treasures of the Sacred Heart of Jesus, the Fount of all grace, holiness, and Christian joyfulness. At this fount of joy you will find the strength and courage to undertake great things for God’s glory and the welfare of your neighbor. Beyond the sacrament of the Holy Eucharist and the healing power of the sacrament of Reconciliation are those “sacred signs which bear a resemblance to the sacraments” (CCC 1667) known as sacramentals, from which we can also draw strength and consolation. According to the Catechism of the Catholic Church, “sacramentals are sacred signs instituted by the Church. They prepare us to receive the fruit of the sacraments and sanctify different circumstances of life” (CCC 1677). They are those “little extras” we can draw encouragement from and that can also serve as reminders of the blessings of our Faith, not only for ourselves but also as a sign of our Faith to others. Sacramentals include making the Sign of the Cross, receiving ashes on Ash Wednesday, and the sprinkling of holy water, as well as many popular devotions that are unique to our Faith and can contribute to our spiritual growth and peace. We discussed earlier perhaps the most popular and wellknown Catholic devotion: the Holy Rosary. It is a devotion that one beautiful jewelry designer has found particular strength in as a single. It also reminds us of the unselfish choice that our Blessed Mother Mary made when she said yes to the will of God. Being single can be very difficult at times. It is very easy to think about how lonely I am; why no one seems to be the right fit for me; when is it going to be my turn; et cetera. Praying the Rosary involves surrendering to our current situation and accepting the single life with gratitude. Through it we can find that the most satisfying relationship is the one that we nurture with Jesus Christ while we contemplating His life, death, and Resurrection. After all, our Blessed Mother Mary wants just that — that we grow closer to her Son. Beyond finding strength and comfort through the sacraments, sacramentals, and devotions such as the Rosary to battle the aloneness we sometimes feel as singles, it is important that we also seek other ways in which to get outside of ourselves. It is up to us to work to maintain our connections with those we most value in our lives. It is also important to step out and try new things in an effort to increase our relationships and interactions with others. Whether it is attending a Catholic singles conference or a singles retreat, becoming active in our local parish, volunteering, or just being more social in our daily lives, we are all personally responsible in making the choice to stop being lonely. Saying yes to the Lord and being open to letting Him work in our lives is the best way of doing this, along with knowing that our plans always pale in comparison with His! We are all called to bloom where we are planted and not to wait for some other time or some other place or situation to do so. We must also remind ourselves that God’s supreme goal for us is not necessarily our immediate earthly happiness but rather our sanctification, so that we can be with Him forever in heaven. So, whenever you feel down due to loneliness or discouragement, remember that God is acting in your life toward this end. Remember also that He loves you immeasurably and that with His love you are never alone. Judy Keane. 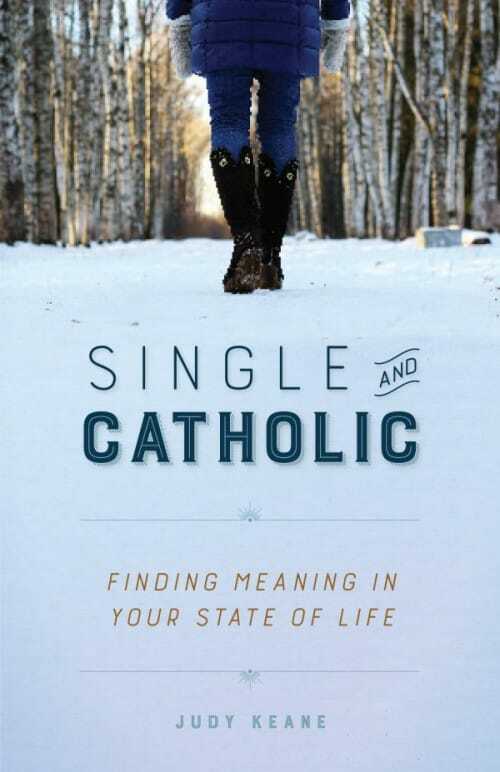 “Single but Not Alone!.” chapter 10 from Single and Catholic: Finding Meaning in Your State of Life (Manchester, NH: Sophia Institute Press, 2016): 93-102. Reprinted with permission of Sophia Institute Press. 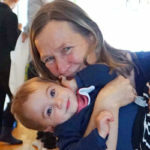 Judy Keane is a regular contributor to Catholic Exchange, where she writes on topics ranging from the saints to the single life. An experienced marketing and communications professional and a former broadcast news producer for a major television affiliate, she was involved internationally in several foreign aid missions during the Balkan War and later returned to Bosnia-Herzegovina on sabbatical, where she worked as an English professor and in refugee camps for more than two years. She holds an MBA in International Business and a BA in English and humanities. 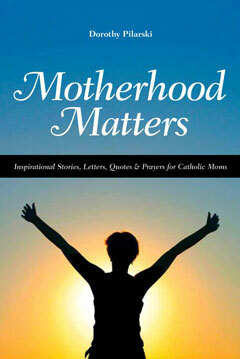 She is the author of Single and Catholic Finding Meaning in Your State of Life.